So far paulynehlen has created 21 blog entries. 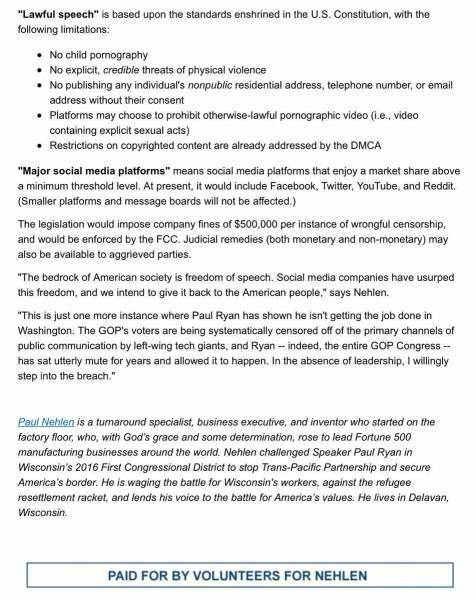 Delavan, WI — Republican U.S. House candidate Paul Nehlen presents this research to the Wisconsin and national news media for the purposes of making the public aware of a fraudulent candidate in our midst. “I was told face-to-face by a sitting U.S. Congressman in the fall of 2017 that if we kept doing what we were doing shining light on Paul Ryan, he would most certainly step down, that he was planning to push through an enormous Omnibus and avoid fully funding President Trump’s wall. Furthermore, this source shared that the GOP already had their replacement picked and he was a nobody from a well-connected family in Wisconsin. He went on to tell me that I ought to expect another candidate to show up from the deep state ranks to split my vote so that the GOP chosen candidate would win.” stated Nehlen. “That leaves us with the last prediction which came true, with deep state candidate Nick Polce, who has portrayed himself as a Lake Geneva businessman, coming to the district in 2016, as directly or indirectly reported here, here, here, and here. Mr. Polce claims that he is a real estate investor but only has two properties to his name: the one he just purchased in Wisconsin in October 2017 to live in, consistent with the predicted behavior of the prophesied carpetbagger, and a two bedroom property in Fountain, Colorado with an assessed value of $8,570. Lastly, if Polce were here since 2016, he’s only voted twice and both of those times were in 2018: February 20th, and April 3rd. That information is available for Nicholas Polce with a birthdate of 05/05/1979 at myvote.wi.gov. “I’ve endured false accusations that I’m a racist, a bigot, and an anti-semite, none of which are true. The fact of the matter is the Wisconsin GOP cannot control me like they can Bryan Stile, so they cover for this vote splitting carpetbagger Nick Polce. Voters want a strong America First Trump supporter, and that’s me. By their cowardly debate-avoiding behavior, we know it’s neither Stile nor Polce. I’ll not silently watch as the deep state maneuvers to add another #NeverTrump attorney, Bryan Stile, to the D.C. swamp. I pray there are still journalists left in America with the integrity to independently verify this report, and publish the full account,” Nehlen concluded. We need your help to get this message out into the district. Please consider a generous donation to help our campaign prevent another #NeverTrump lawyer from getting into the D.C. swamp. Click here to donate. I’m terribly grateful for all of your help waging this battle to Make America First Again. Paul Nehlen is a turnaround specialist, business executive, and inventor who started on the factory floor, who, with God’s grace and some determination, rose to lead Fortune 500 manufacturing businesses around the world. Nehlen challenged Speaker Paul Ryan in Wisconsin’s 2016 First Congressional District to stop Trans-Pacific Partnership and secure America’s border. He is waging the battle for Wisconsin’s workers, against the refugee resettlement racket, for freedom of lawful speech on social media platforms, barring dual citizens from bureaucracy and the military, and lends his voice to the battle for America’s values. He lives in Delavan, Wisconsin. 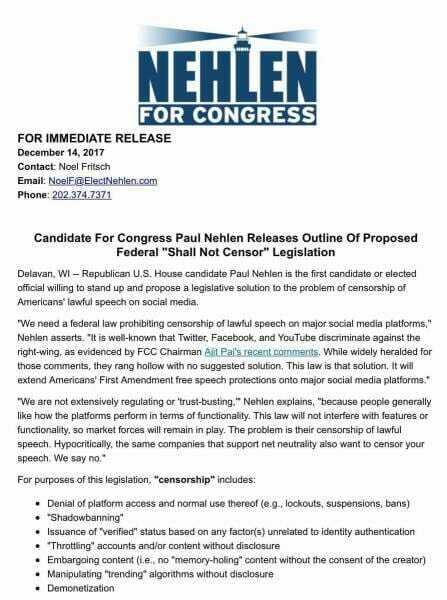 Conservative Paul Nehlen is the first politician to propose federal “shall not censor” legislation for social media giants. 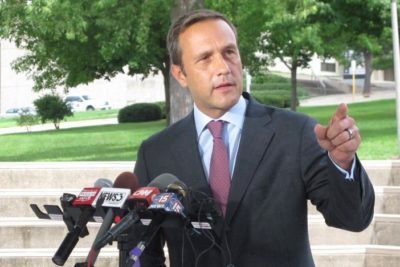 Paul Nehlen is challenging Speaker Paul Ryan for his House seat in the GOP primary. Conservatives are frequently banned, blocked, intimidated and shut down by Twitter and Facebook for posting conservative messages. The power of the social media giants and their thought police is out of control. The Obama Administration appears to have used the Steele Dossier to launch an FBI investigation of the Trump campaign. This unprecedented politicization of the FBI could be the biggest American political scandal since Watergate. 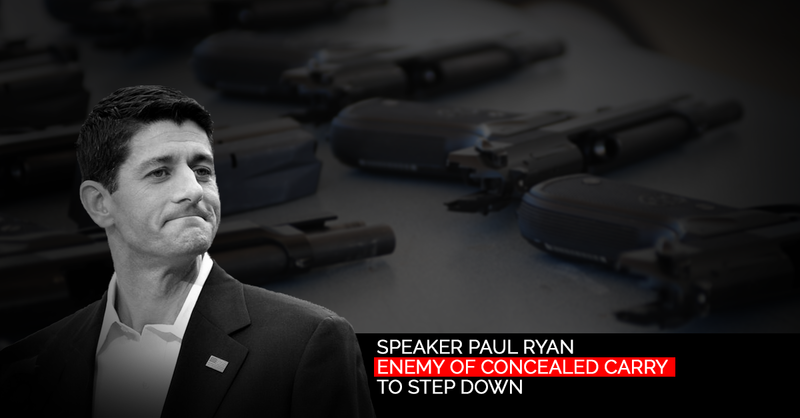 Unfortunately, Speaker Paul Ryan has done little to nothing to defend the president and the party from the unprecedented abuse and politicization of the intelligence community. At best, Paul Ryan does nothing to defend the Republican Party, and at worse, he gives the left-wing media exactly the anti-Trump sound bites they so desperately crave. During the 2016 presidential campaign, Paul Ryan made the promise to his Republican colleagues that, “I am not going to defend Donald Trump—not now, not in the future.” In light of Ryan’s repeated failures to repeal and replace Obamacare and secure the Southern border by building a wall, this appears to be the only promise that Ryan is willing to keep. On November 8, 2016, the people spoke in favor of President Trump’s vision to Make America Great Again. It is time for our Do-Nothing speaker to commit fully to this pro-worker, America First agenda and defend the Republican Party and our President with more than just empty words. Rather than diddle around doing nothing, Paul Ryan must immediately move to defund Mueller’s compromised investigation, and, as recommended by the WSJ, reinstall Intelligence Chair Devin Nunes as lead on a Russia investigation that will investigate fully the documented collusion between the Clinton campaign and Russian intelligence, and the partisan abuses of intelligence by the Obama administration. Once Paul Ryan defunds the Mueller charade and gives the House Intelligence committee the resources necessary to do their job, he must fully focus on enacting the Trump agenda that Americans voted for on November 8th. The people of Wisconsin are tired of Paul Ryan’s lackluster, tepid, and unserious attempts to enact an America First agenda that will create good-paying jobs, secure our borders, and raise wages for the hard-working men and women of this country.